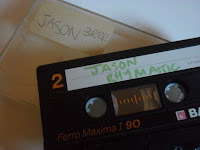 within a constant groove: Old Mixtape: Jason DaGroove Live On Air on 3RRR's Rhythmatic, 1990. Old Mixtape: Jason DaGroove Live On Air on 3RRR's Rhythmatic, 1990. An old tape of Davide Carbone's Rhythmatic show on Melbourne's independent radio station 3RRR, sometime in mid 1990 - I think about September, but who knows. Davide was an early convert to acid house, in the late 80s he and his good mate Steve Robbins were DJing this new sound on Thursday nights at ZuZu's (in Exhibition Street where Bobby McGees now as - along with Prahran's Checkpoint Charlie's it was the best designed club space in the city - both are sadly long gone now). 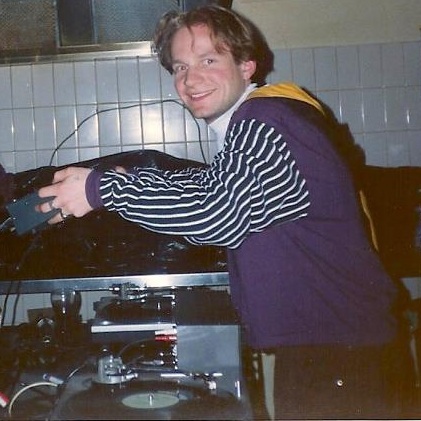 Apart from DJing, Davide was also one of Melbourne's first techno entrepreneurs - he ran a record shop (Rhythm Records) out of the front room of his house, and put on some of the earliest raves - Lunatik Fringe. Later still he formed Future Sound Of Melbourne with Steve and Josh Abrahams, then moved to the UK to become a jungle don. Now he's back in town, running a recording studio and working with the likes of Carl Cox. This tape is a bit of a choice one, because the whole show features a guest mix by Jason DaGroove (Jason Rudeboy) who at that time was one of the organisers and DJs at Melbourne's greatest underground club night, Maze (Commerce). He'd later go on to start a record shop, Octave Records, with Terry (H2O) Ho and ran Melbourne's longest and most adventurous techno club night, Filter, from 1992 to 2003. Jason was a UK import, and was about to head back home the next day - he would of course be back. There's a bit of talking and shoutouts - 'got any disco biscuits?' - which will bring it all back for some. Jason also announces a new DJ at Commerce that week, Brother Willy (none other than Will-E-Tell, later Melbourne's first DJ superstar). It's also the first time I heard Mr. Monday's "Future" and there are heaps of other class tunes in the mix too. The tape quality is okay - back then I never had money for rent, but somehow managed to get good quality blank tapes. Please excuse bad spelling on cover - don't know what I was doing there. great days indeed,whatever happened to Steve Robbins?